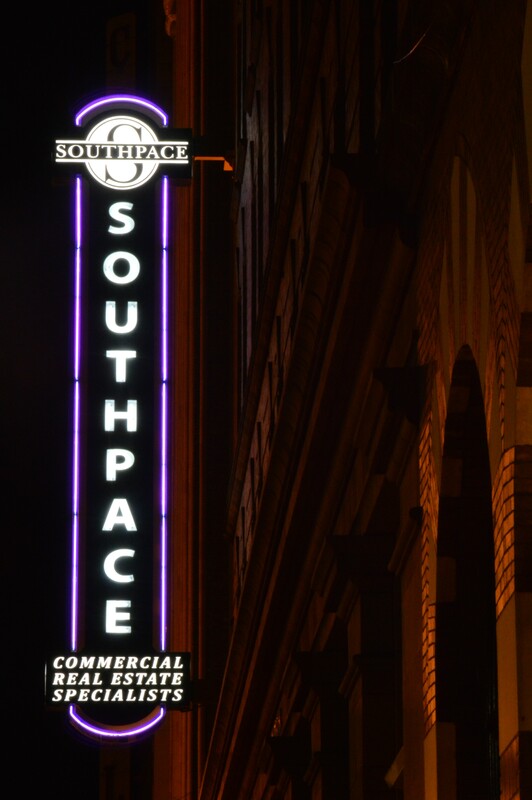 They blink in storefront windows, illuminate historic theaters and glow in the corners of basement man-caves. From the first experiments in the early 1900s to their use as road-signs in the mid 20th century and now as a revitalization tool for historic buildings, neon lights are a central part of Americana. For Birmingham native Tim Hollis, neon signs are more than an indication of whether or not a store is open. In his book “Vintage Birmingham Signs,” Hollis gathers decades of old photos of iconic Birmingham locations and the decorative neon signs that made them famous. “In the memories of people who are still alive, neon probably plays a really big part in it,” Hollis said. Many of Birmingham’s most iconic locations have a place in neon history, such as the Alabama Theatre, the City Federal building and others. Even the Vulcan statue’s torch was wrapped in neon from 1946 to 1999. As what Hollis deems the most visible use of neon in the city, the statue’s torch was used by the Jefferson County Safety Committee to encourage traffic safety around the city. Vulcan’s torch glowed green, except in the case of a traffic fatality, in which case it would glow red for 24 hours. The lights were removed in the restoration process started in 1999. Neon, Hollis said, has not always been a fashionable nod to Americana, but was for decades considered to be “road-side blight” or an industrial necessity, not an art form. 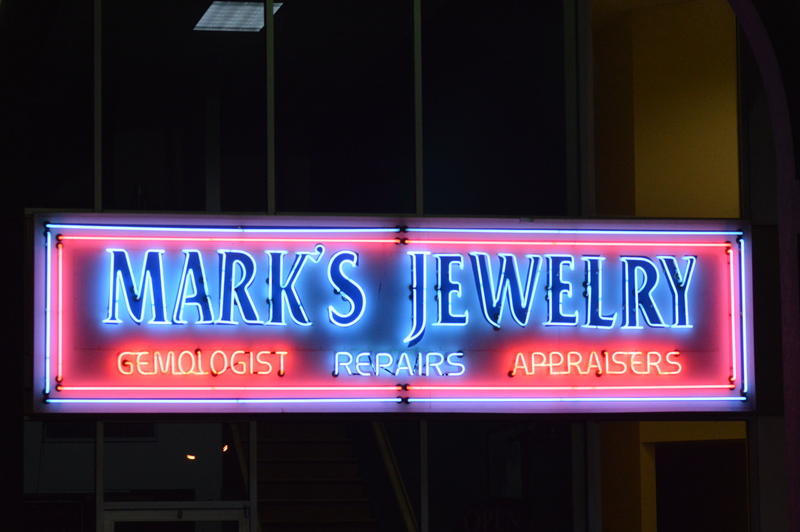 “For a long time, people considered neon signs to be ugly,” he said. For some of these historic lights, the photos in Hollis’ book are all that remain. When signs would wear out or get damaged by the elements, they would simply be taken down, taken apart and recycled. “Over the last 10 or 20 years, people have discovered how pretty they really were, but unfortunately it was too late to save a lot of the older ones,” Hollis said. Because of the fragile nature of the components of neon signs, those that have been restored, such as the Paramount sign on 20th St. N., are actually recreations of the originals. Still, Hollis said he thinks that neon “seems like something that is coming back” because of a new outlook on the medium. “Now, neon is considered an art, whereas in the old days it was strictly just an industrial project,” he said. 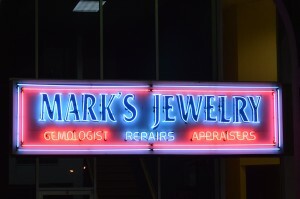 Neon signs still face strict zoning laws, which were the cause of the initial removal of vintage signs in decades past. 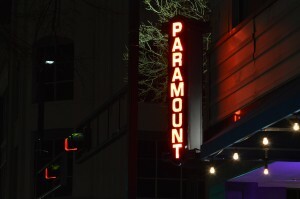 Now, for businesses to install large vertical signs such as those outside of Paramount or The Alabama Theatre, there has to be a historic use of neon on that building to get past most modern zoning regulations. Hollis thinks, however, that the “retro” appeal neon has to younger generations and the nostalgic appeal it has to older ones will keep it around for a long time. 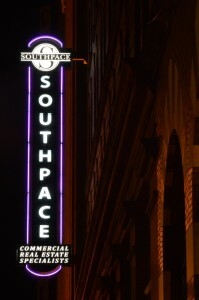 “I think neon is being used more by businesses and by people that appreciate it as the art that it was,” Hollis said. Hollis’ “Vintage Birmingham Signs” can be found at local Books-a-Million and Barnes & Noble locations, as well as online.